Felicia and Andreas are a traveling couple eager to see the world. 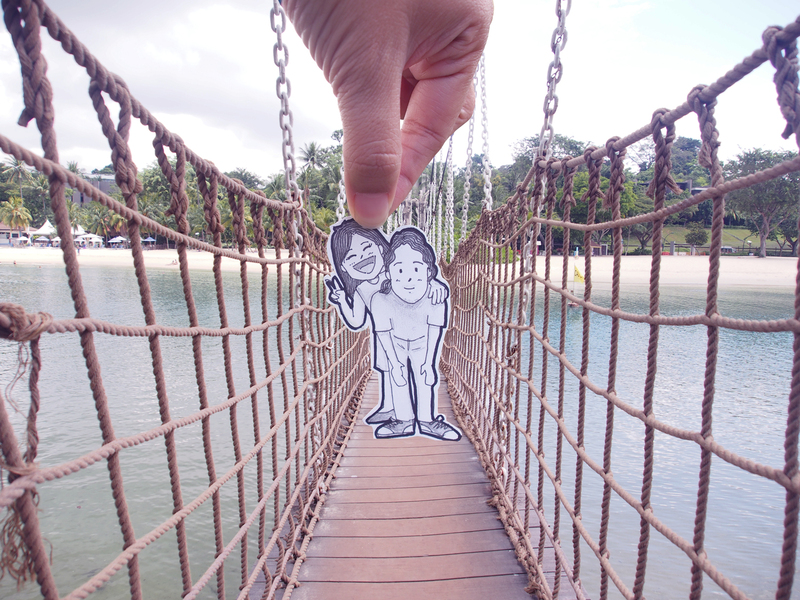 But instead of posting their own photos, they have created a paper cartoon couple (Abang and Neng) who does the same for them. 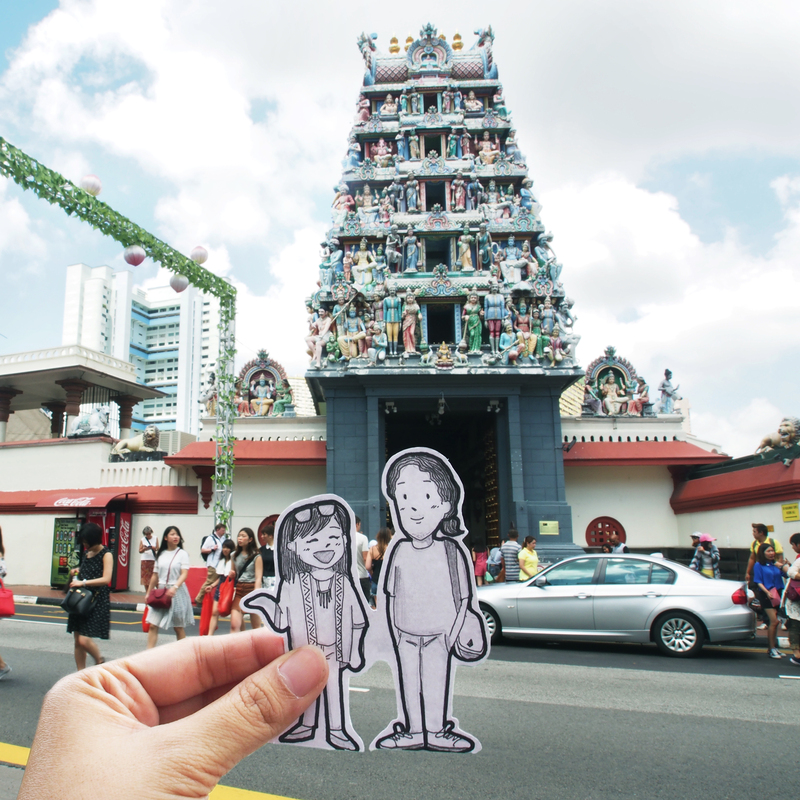 The Doodle Deux (The Two Doodles) are a fresh travel profile to follow on Instagram. And here’s the story behind it. – How and when were Abang and Neng born? What is their story?You can find your own original ideas to make the memories from your journey interesting to share. – My name is Felicia and my boyfriend is Andreas. We’ve been together for more than 3 years now. The idea was launched last year when we were just having our regular date at a coffee shop. I like to doodle. That day I doodled myself, then took a picture of it trying to stir the cup of coffee on the table. The picture looked cute and inspired me to do a doodle of us. Then I decided to document our journey as a couple through doodles. Not just a mere doodle, but a combination of our doodles and the situation where we’re at. We see so many pictures of couples, but this idea is something different that we believed was never done before. At first he was a bit doubtful, but after we did some doodle pictures together, started the @doodledeux on Instagram and got positive responses, he was convinced and now he really supports me about the project. I do the doodles, he shoots the photographs. We’ve been collecting the doodles since last August. And for the nick name Abang Neng, it came from Indonesian language, specifically Java Jakarta area: Abang is how they called the man, Neng is how they called the woman. So there goes Abang Neng story. – Who is behind the project? 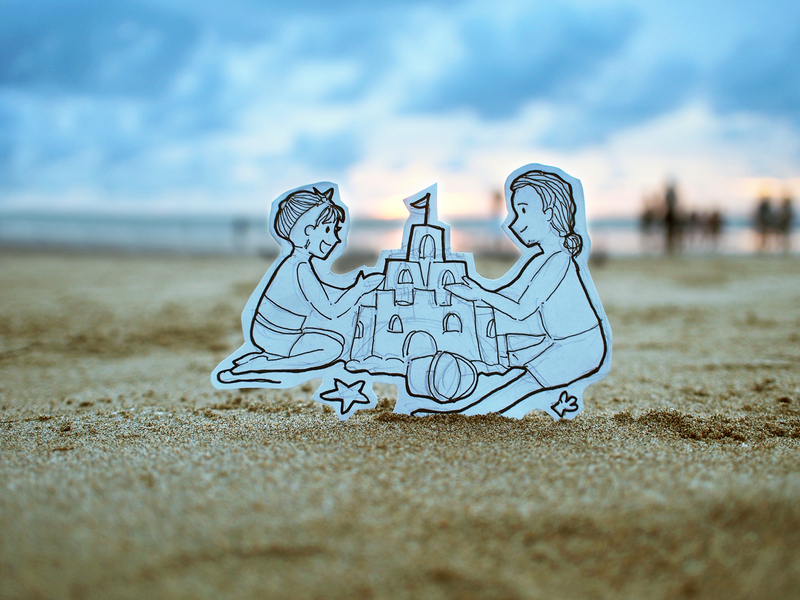 – Doodles by Felicia Hutabarat, photographs by Andreas. – How do you decide what the next adventure of Abang and Neng will be? – Since @doodledeux was actually created to be a documentary of our journey as a couple, we decide what’s next by what we want to experience. 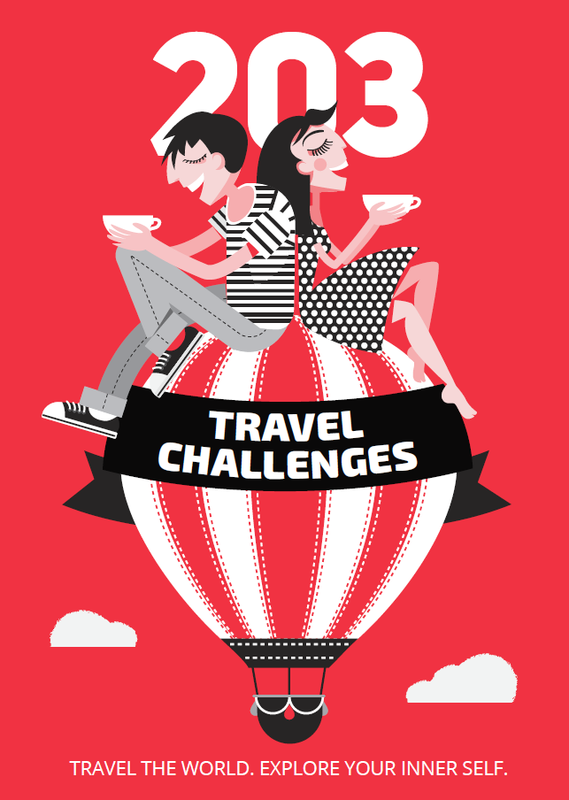 We do want to travel far and experience many things, but we’re also just regular people who work during weekdays and need to save to travel. So we carefully pick our dates now that we do @doodledeux, in order to also get a good doodle for the project. – Where have they travelled? – Mostly still around Indonesia: Dieng Plateu (an upland volcanic plain in Central Java), Bali (a bit disappointed by the rainy season back then though, it was hard to take the doodle pictures), one day trip to a megalithic site in Padang Mountain in Cianjur (West Java), Singapore (we were well prepared with lots of doodles for the trip). And all around Jakarta, as we are based here. – What do they like to do on the road? – Hmmm, if we refer Abang Neng with the real couple behind it, they love to hang out, trying new interesting places, taking pictures (Neng really loves to take selfies and Abang doesn’t mind to do her a favor of taking her pictures, teasing each other, joking, just have fun, and EAT, EAT AND EAT. – What is their next destination? – We really enjoyed our time in Bali, so we’re thinking of going back. Also (depends on the budget) maybe Hong Kong or Australia. 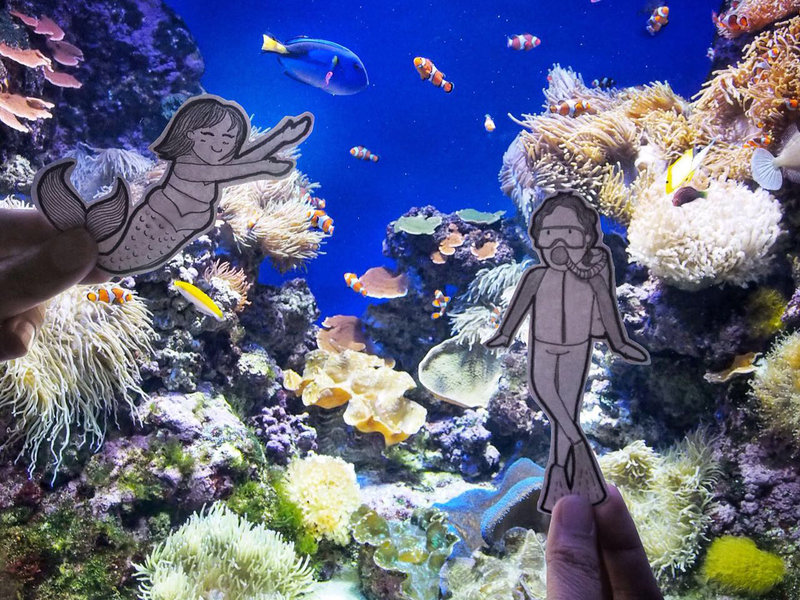 Some people on Instagram offered us their scenery pictures to be doodled as the background, but since we wanted it to be real and authentic, as it represents our own story, we declined the offer. 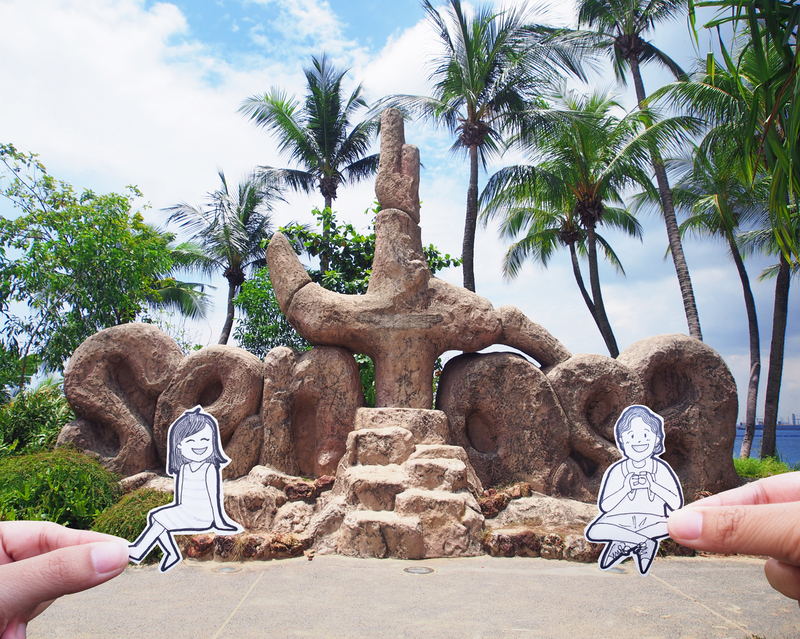 Of course, it will be easier just to find random scenery pictures and compose them with our doodles. But if we do that, it will not stay true with what we intend @doodledeux to be. 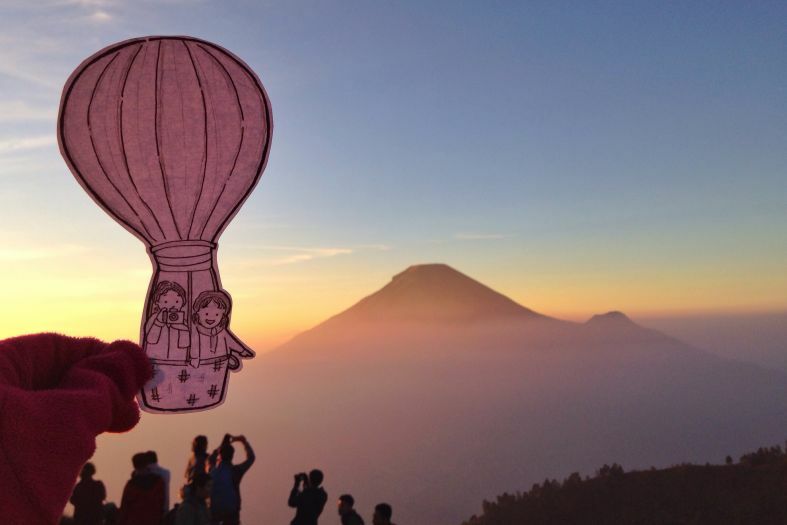 – Tell us something inspiring about doodledeux that will change people for better! – Whoah, that is a difficult question. Hmmm… Maybe it is that documenting your journey doesn’t always have to be in a form of selfies or ordinary pictures. We’ve found our own way through doodles. You can also find your own original ideas to make the memories from your journey interesting to share. We’re just starting. But we know that one day when we look back in life and see our old @doodledeux pictures, we will smile at the memory and we will be glad that we started the project.